When I first posted that I was going to put this list together, I got a ton of comments. One of the most popular bands in the comments was R.E.M., for obvious reasons. R.E.M. is one of the great bands of my generation (that being people in their late 30s to early 50s). They put out great records from the early 80s to the mid 90s. They are making an effort at a comeback, but I am not holding my breath. Their greatest album and a record that makes it into rotation in our house at least a couple times a month even now is Automatic For The People. It’s not the driving rock and roll that they are most known for, but has their best songwriting on it. The first four songs and the last three songs are all classics. And the songs in between are geat too. 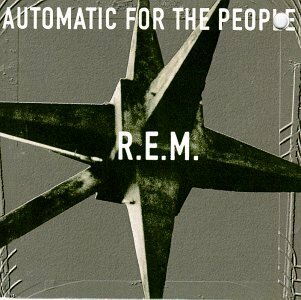 So this week Automatic For The People goes onto my Top 50 list.